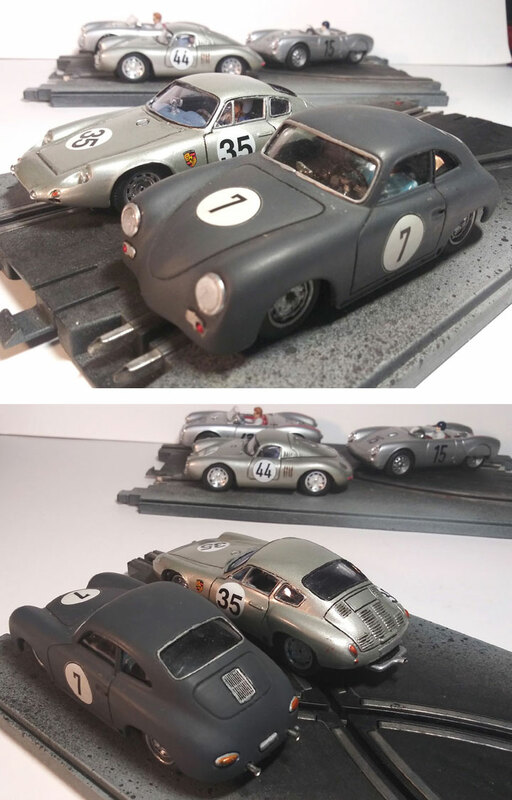 This was a resin casting of the Ninco Porsche 356. I narrowed the body about 3 MM. Its mounted on a PP clubman chassis. Last edited by Fester B Zombie; 02-04-2019, 08:47 AM. 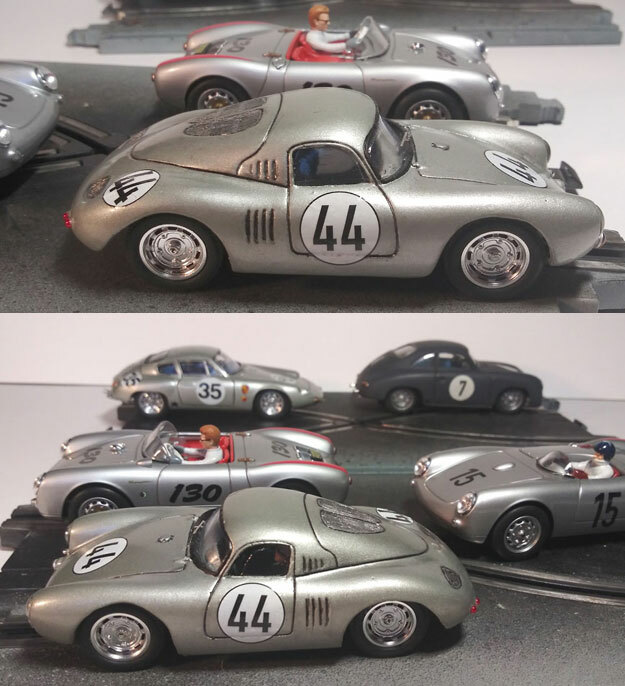 Porsche 550 Coupe - This is a resin body kit made by Carlos Duran in Spain it's mounted on a plastic adjustable chassis. It's only been out for a test lap. Last edited by Fester B Zombie; 02-04-2019, 06:09 PM. 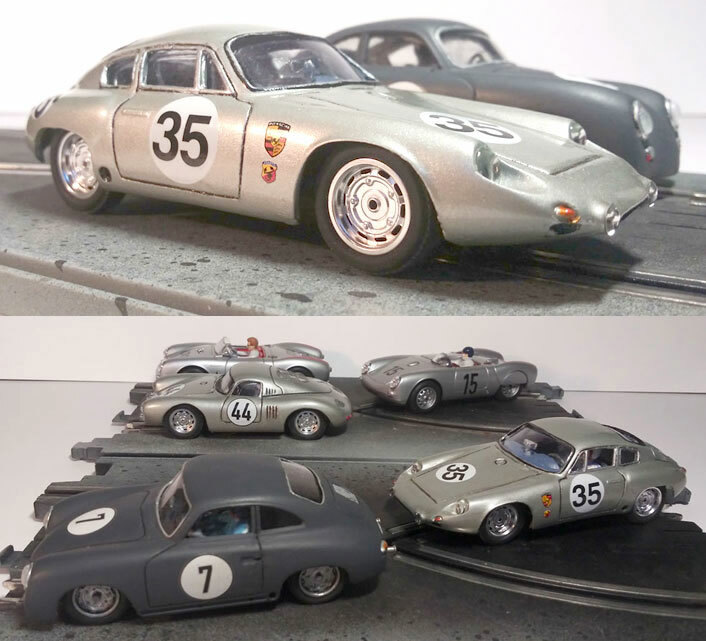 Can you tell us where we can find a body of that Abarth Carrera your car 35? Is it still in production? 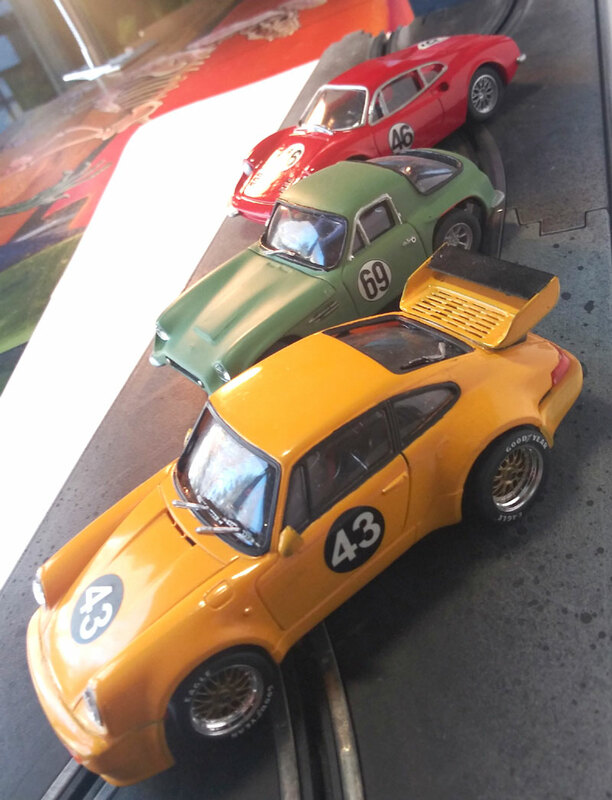 I bought the Abarth about 3 years ago. I think it came from Enric Roca in Spain. One thing I've noticed, is that just at a point in time where the individual member albums (aka My Gallery) seem to have disappeared, Fester has recently been uploading like anything, so be sure to check out his 'My Gallery' to see what he's been up to. Last edited by N9949y; 02-12-2019, 02:13 PM. Well, Todd... nice looker but I have to tell you I struggled with it being a Porsche all the way to the top of the post. Thanks for the explanation. Last edited by N9949y; 02-12-2019, 06:33 PM.